Hundreds of Evolve Housing residents and staff came together last weekend to enjoy food, fun and incredible wildlife exhibitions for free at our annual Christmas party. The party was held on Sunday 2nd December at Wild Life Sydney in Darling Harbour, with more than 400 residents of all ages and backgrounds in attendance. 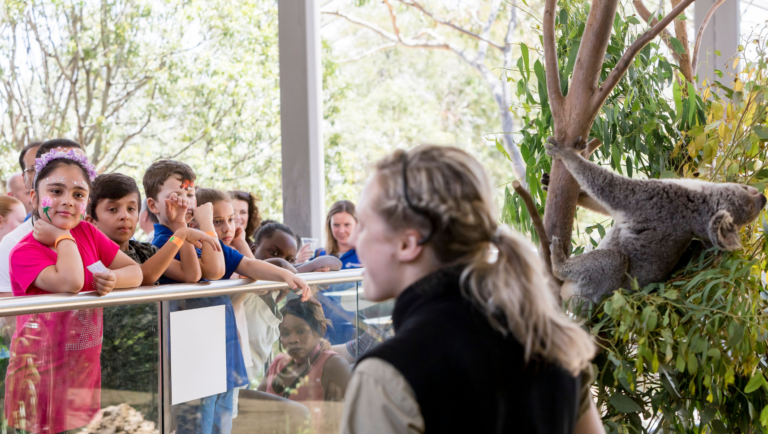 Residents were able to walk through the wildlife park all day free of charge, getting up close and personal with Australian native animals and listening to keeper talks. The beautiful Koala Rooftop venue was reserved for Evolve Housing residents for 3 hours while a BBQ style lunch was served, giving everyone the chance to chat and relax. There were also activities to keep everyone entertained including face painting, interactive animal talks, a photo booth, a raffle, and goodie bags for kids. Evolve Housing Managing Director and CEO Andrea Galloway said that the Christmas party was one of the most anticipated events of the year for staff and residents alike. “Here at Evolve, we pride ourselves on creating close-knit communities, and we were thrilled that we were able to plan a fun, free day in Darling Harbour that was attended by so many residents,” Ms Galloway said. “We had very positive feedback from both staff and residents, and it was an excellent way for the Evolve community to unite to celebrate a great year”.